Be the first to share your favorite memory, photo or story of Jeffery. This memorial page is dedicated for family, friends and future generations to celebrate the life of their loved one. 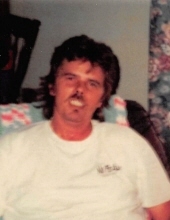 Jeffery Lee Neeley, 59, of Hamilton, OH departed this life of February 26, 2019 at Fort Hamilton Hospital in Hamilton, OH. Jeff was born on January 21, 1960 in Hamilton, OH to the late Ray V. Neeley and Doris Lee Neeley. Jeff is survived by his mother, Doris Lee Neeley of McKee and by two brothers, Randy Neeley and Steve Neeley both of McKee. He is also survived by his four children, daughters, Renee Hampton (Charles) of London and Ashley (Michael) Gabbard of Sand Gap; sons, Justin (Heather) Neeley of Manchester, OH and Jeramie Neeley of McKee. He was blessed with twelve grandchildren, Tyler (Alex), Nathan, Connor, Marcus, Brendan, Kendall, Haylee, Kelcie, Jordan, Jyden, Gavin & Ava. Jeff was preceded in death by his father, Ray V. Neeley. A memorial service will be held on Saturday, March 30, 2019 from 2-4 PM at the House of Refuge with Brian Gabbard officiating. A private ceremony will be held at the convenience of the family. If you would like to send flowers, please do so to… The House of Refuge, 939 McCammon Ridge Rd, McKee, KY 40447. "Email Address" would like to share the life celebration of Jeffery Lee Neeley. Click on the "link" to go to share a favorite memory or leave a condolence message for the family.